I have a new favourite blog....it's called Bargainista Fashionista. It's a blog about fashion bargains, and I am TOTALLY addicted. I can't actually afford to buy any of the things (yet!) recommended on this blog, even though some of them are utterly bargainous. The photography is also beautiful and vibrant, I love it. Full credit to Bargainista Fashionista - her post is here. Alright, I admit it, I bought it! Happy? Yes it's handwash only, yes it contains no wool, but I love it and I don't care.....it feels lovely to the touch. I am going to wear it with skinny jeans, it is absolutely adorable...what more can I say? There are other colours but I don't see why you would want a different one...I see myself wearing it over a black polo neck and black tights/boots in the day. In the evening I envisage lots of chunky silver bangles and high heels (this is a fantasy, I never go out in the evening). BEST of all I have a £5 code for H&M which is 1304. I know! I was ecstatic when it came, though medium was a bit snug, glad I didn't order small. I think I am going to order this one online, I can never find what I want instore. The dresses are very reasonable, wearable and cute! 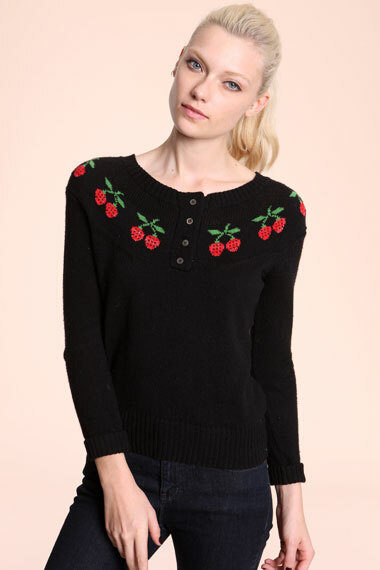 Oh I'm gutted to have missed the Urban Outfitters jumper too! I'll wear it on Thursday so you can see what you missed Janey! You would defo love bargainistafashionista!